Where to go? Pelican Hill Resort that’s where! Alright so what does an Ultra Cyclist do when he’s not riding his bike? EAT! Yes, that’s right– eat. And the good thing about being an Ultra Cyclist and having an insatiable appetite is that well… you can eat just about anything and not feel guilty. But why just eat for the sake of eating? Why just eat to fill the void? From time to time it’s important to splurge and titillate your palate and your other senses as well. Such a plenary experience is what I wish to describe for you. 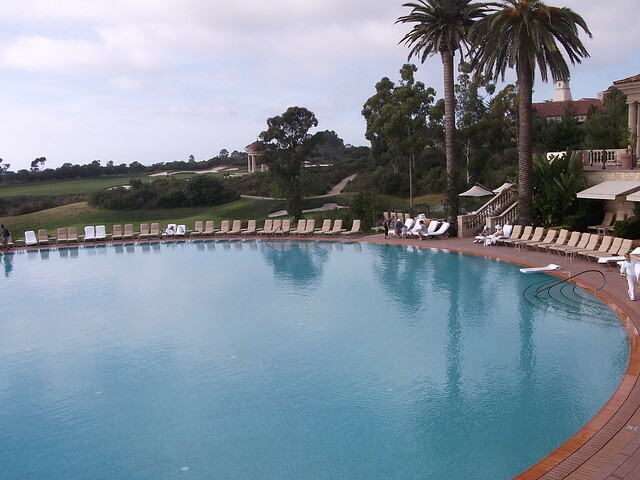 Today I had the good fortune of being a guest at the Pelican Hill Resort in Newport Coast. I have lived in Orange County since late 2007. I have trained numerous times on Newport Coast Dr. I have spent hours doing hill repeats on Newport Coast Dr. and the proximate hills. But little did I know that such a beautiful resort was hidden away on the lower slopes of the local “hill repeat” hill. I was invited onto the resort so that I could evaluate the feasibility of a partnership between Bike Religion and the Pelican Hill Resort. OK so the view was wonderful and the service was top-notch but how was the food? I had a burger and fries. Yes I know I said before that sometimes you have to splurge and I did really. I had my burger with blue cheese. The topping of blue cheese was crumbled and thick but not too much — no it was just enough. My savory burger was cooked to perfection as in just as I ordered it. I was taken on a short tour of the grounds and found everywhere I went that things were equally as elegant throughout the facility. I was taken to a cafe on an upper level that serves cold sandwiches, paninis and salads. While at the cafe what tasty little treat did I discover? The cafe serves homemade gelato! Flavors such as Amaretto, Pistachio, Cookies and Cream, White Macadamia and of course the usual favorites; Strawberry, Vanilla and Raspberry are there to please your taste buds and cool you down under the heat of the mid-summer sun. I strongly recommend visiting the Pelican Hill Resort. I haven’t even begun to scratch the surface of all the amenities the resort has to offer. I hope to someday, very soon, explore more of the services of this extraordinary nook. 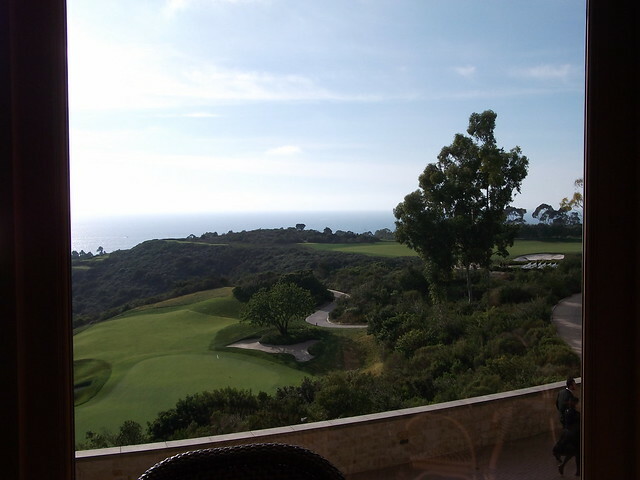 If you are curious what else the Pelican Hill Resort has in store for you here is the fact sheet. Thank you for reading my blog. I hope to bring to you more “place to go” entries in the future. Ta Ta for now! This entry was posted in Leisure, Vacations by REV Cycling Directeur Sportif. Bookmark the permalink. Excellent review, George. I’ll have to check it out. Please check out and tell them I sent you. They are looking to expand their business and become more bike friendly. As you know it is difficult to find good dining establishments that are bike friendly. We now have another option– and a very good one at that! What? No pictures of the food? Seriously George, that’s a beautiful spot. Well I guess I wasn’t thinking clearly …obviously. But hey did you really want to see a picture of a cheeseburger? I’m quite sure a vegetarian like yourself wouldn’t be impressed by red meat 🙂 But take my word for it – my burger was tasty! Next time in you’re in town take the girls with you on a ride up Newport Coast Dr or Pelican Hill and have lunch at the Resort. Tell them I sent you. Thanks for the awesome review George! 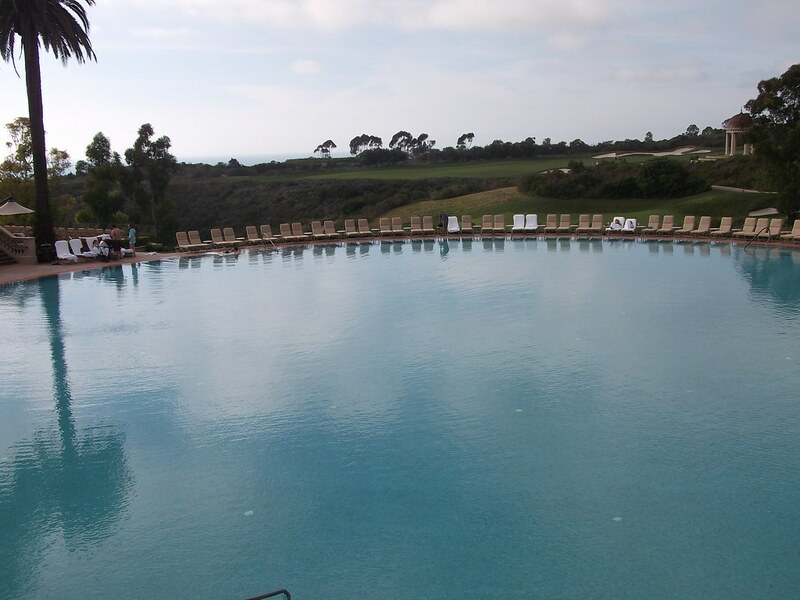 Your blog has inspired me to chech Newport Coast Drive and Pelican Hill for the first time. I was slow, I suffered, but I did not quit (just like a wise ultra cyclist and drill sergeant wanted me to do LOL). The views from up there were indeed majestic, just like in your pics, so thanks a lot for opening my eyes on a new training ground. Keep on sharing your adventures George! I am happy to inspire you and all cyclists to endure a little pain and suffering to enjoy a nice view 😉 I’m glad you discovered Pelican Hill it is less traveled than Newport Coast Dr and in my opinion significantly safer on which to do hill repeats. Please make it a point to stop in to the cafe for a light lunch and enjoy the view! Tell them I sent you! That looks AMAZING! I have never been up there and it certainly gives The Montage a run for its money. The thought of floating in that pool with a cocktail after a long ride up that hill? Sign me up!